Image smoothing is a critical preprocessing step in many image processing tasks. In this paper, a generalized edge-preserving smoothing model is derived from robust statistics theory, and its connections to anisotropic diffusion and bilateral filtering are established. The relationships allow us to derive an improved numerical scheme in the context of a robust estimation process for edge preserving smoothing. Experiments illustrate that the proposed smoothing algorithm is capable of effectively reducing the distracting effects of noise without sacrificing image edge structures. The robust edge-preserving smoothing method performs several dB better in terms of PSNR compared to anisotropic diffusion, bilateral filtering and the Bayes least squares Gaussian scale mixtures a wavelet-based methods for image enhancement. G. Dong and K. Palaniappan. 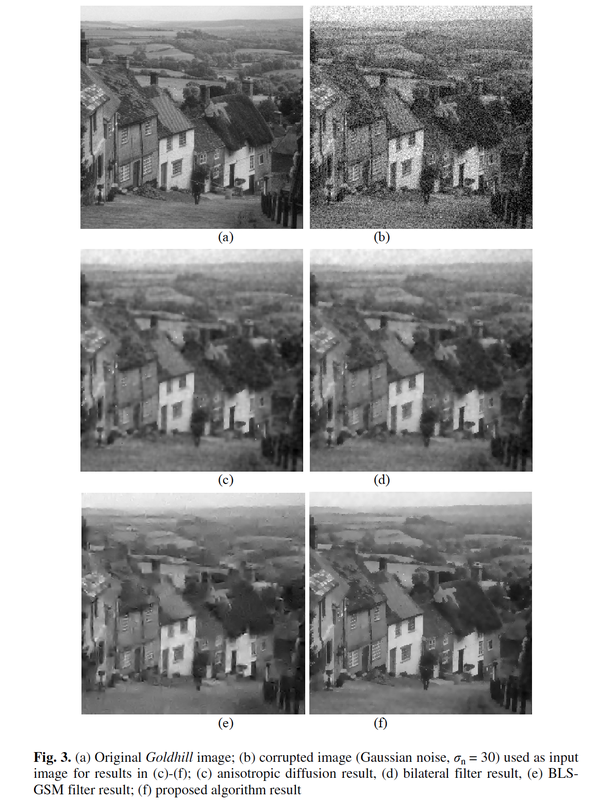 A robust method for edge-preserving image smoothing. Lecture Notes in Computer Science (ACIVS), volume 5259, pages 390--399, 2008.